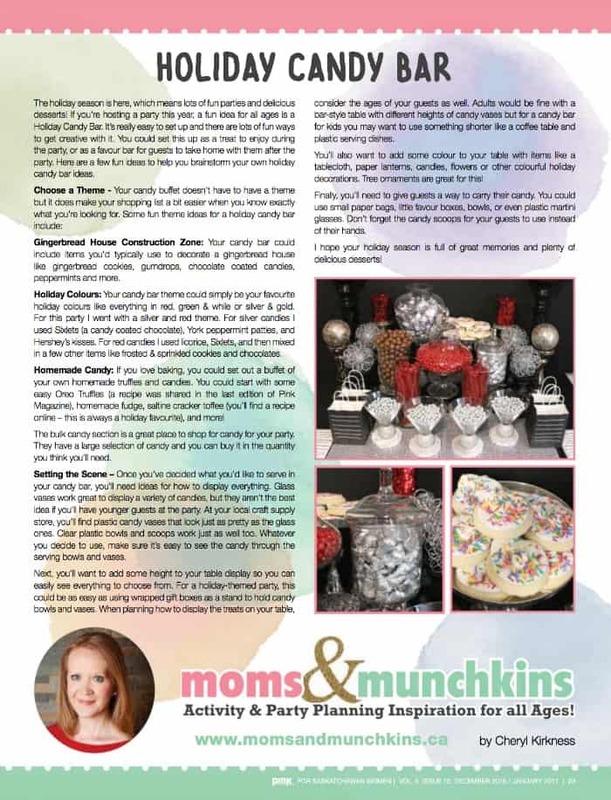 My latest article – Holiday Candy Bar – is now available in Pink Magazine! 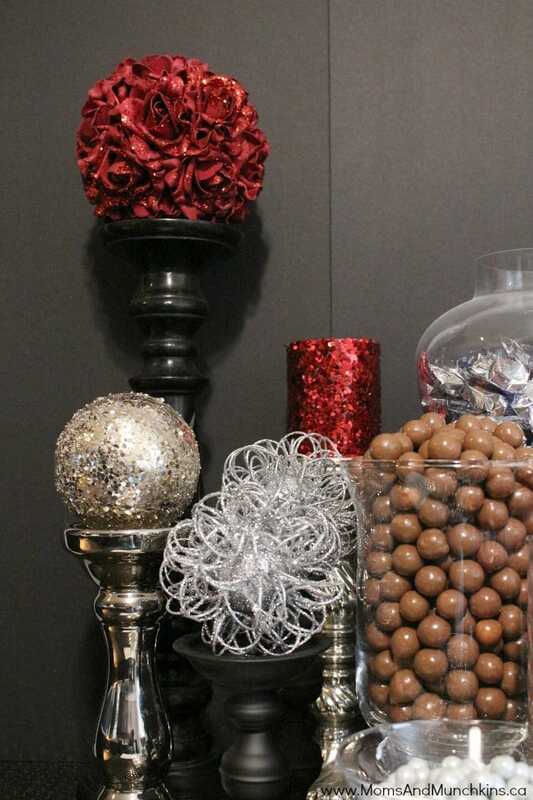 You can read the full article in the latest issue but I’ll share all the photos with you here. 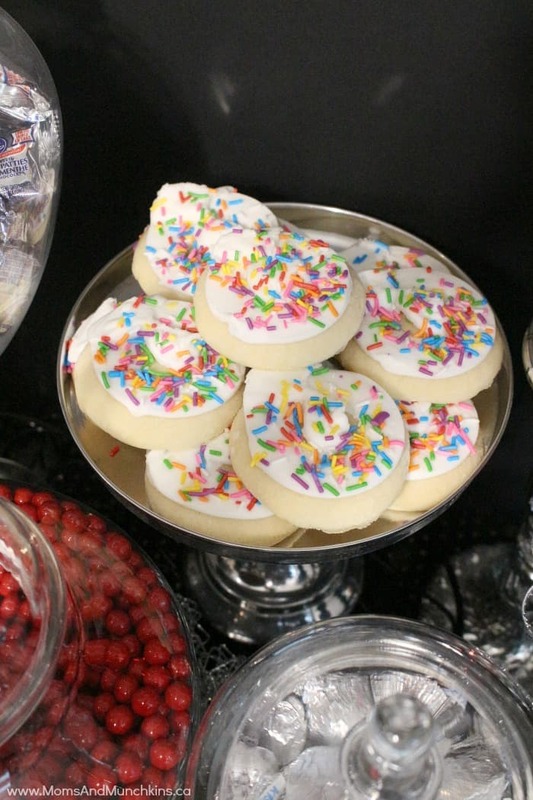 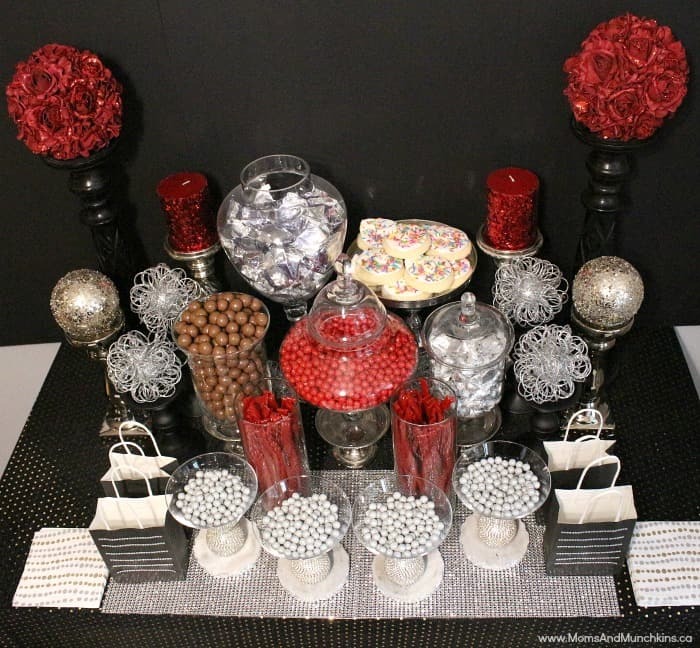 These ideas work for any party – Christmas, New Year’s, birthday, wedding, etc. 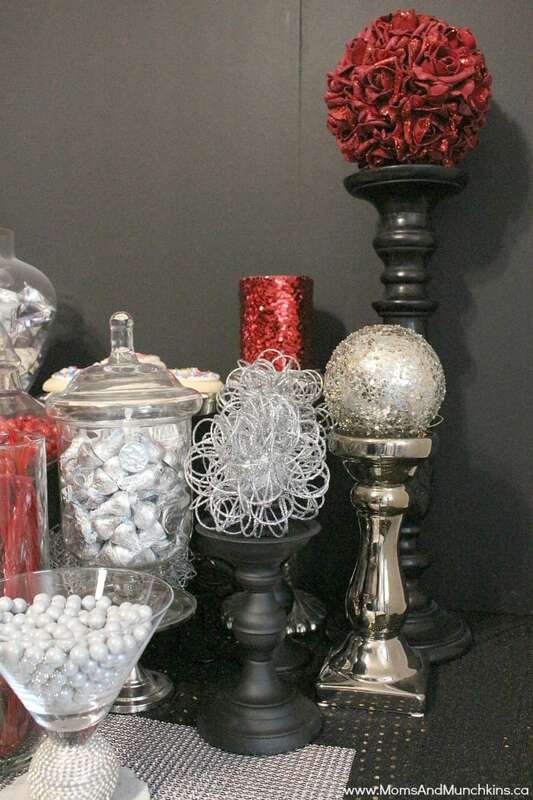 With the holiday season quickly approaching, I gave this party a bit of a New Year’s Eve look with my colour choices and decorations. 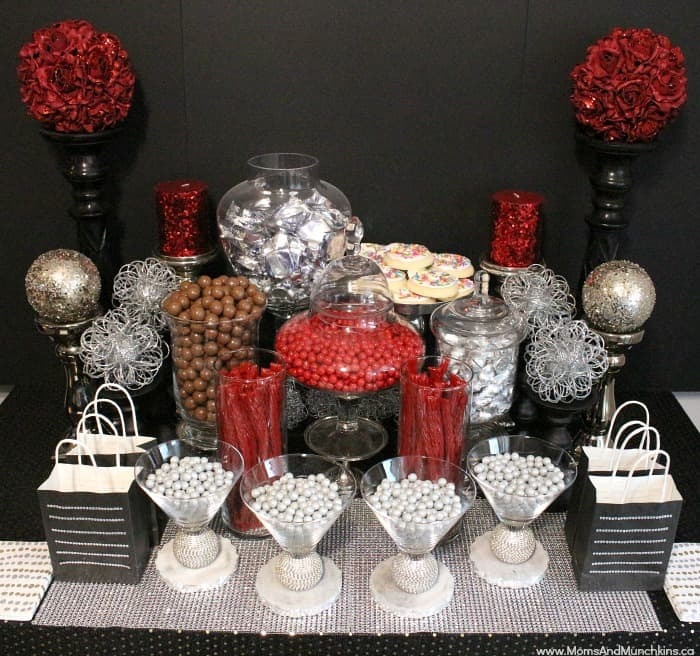 For this party I went with red & silver because they seem like festive colours! 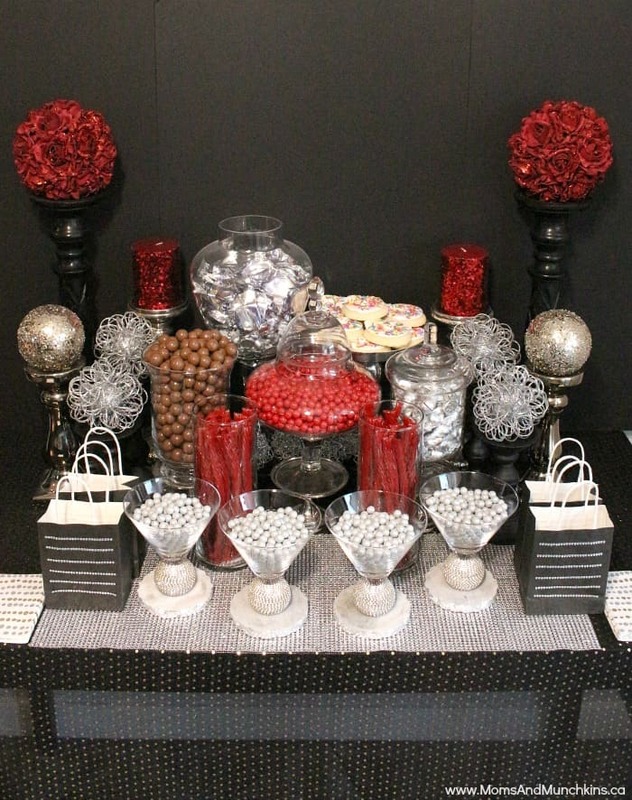 I used plain black foam boards for the back wall and various sizes of candy jars, flower vases and martini glasses for displaying the candy. 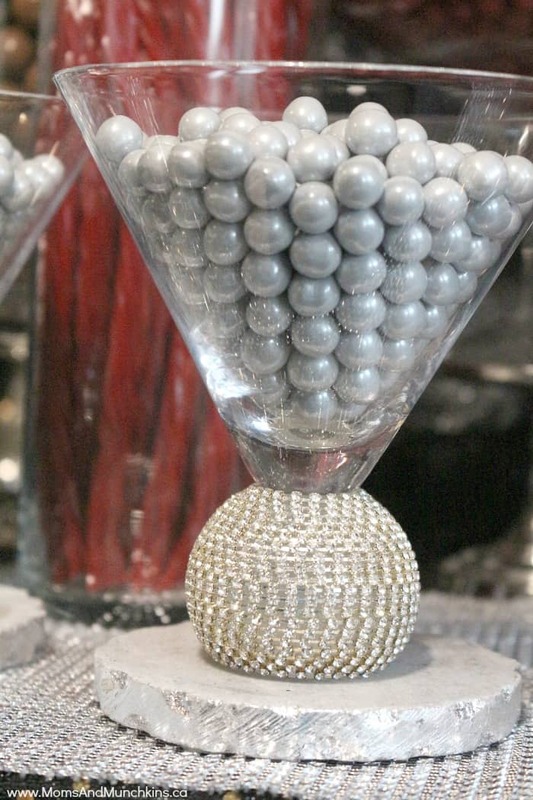 I absolutely LOVE these glasses I found at Pier One. 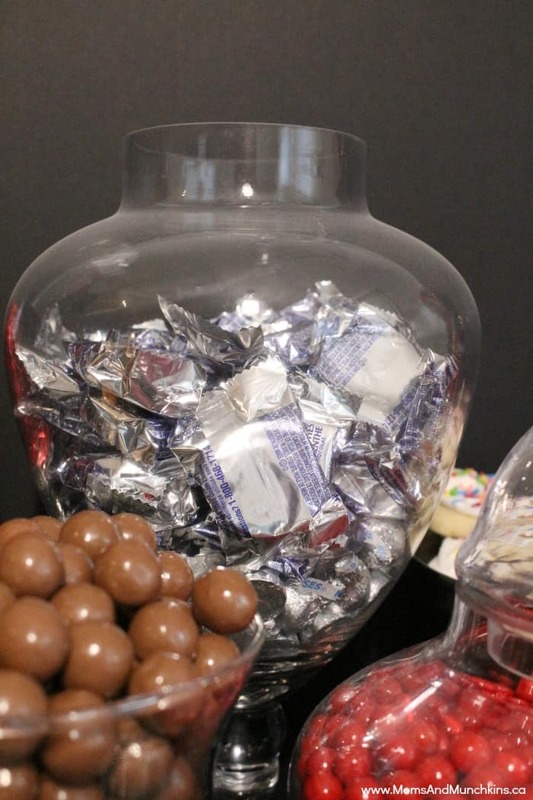 I don’t drink but I knew I’d find a use for them in my party displays. 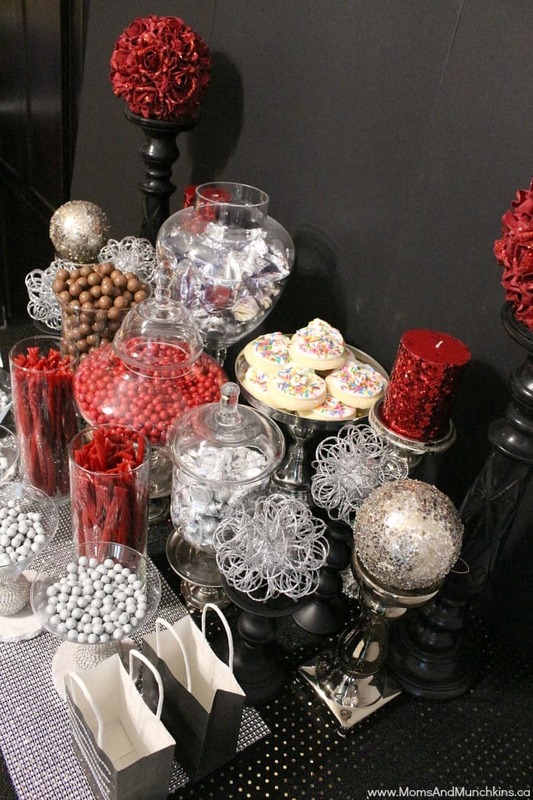 For decorations, I tried to stick with the same colours as the candy by using Christmas decorations, artificial flowers, different sizes of candlesticks, and silver placemats. 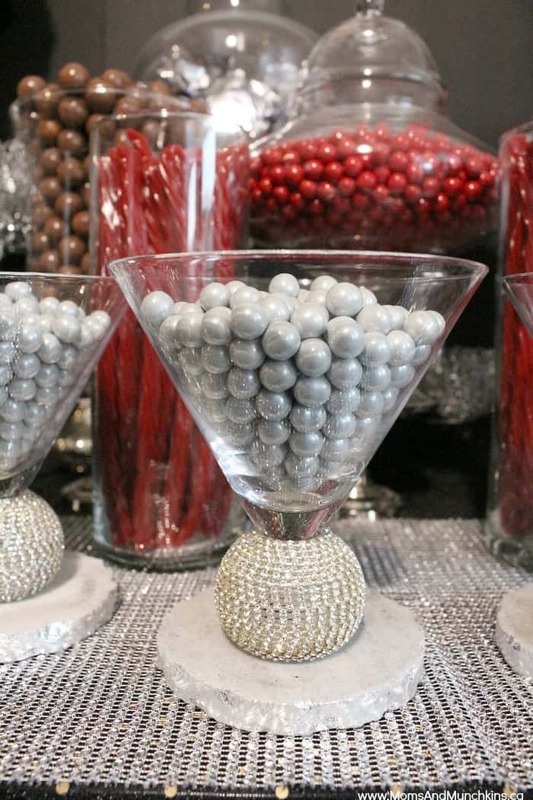 Your local party store is a great place to shop for specialty candy in a variety of colours. 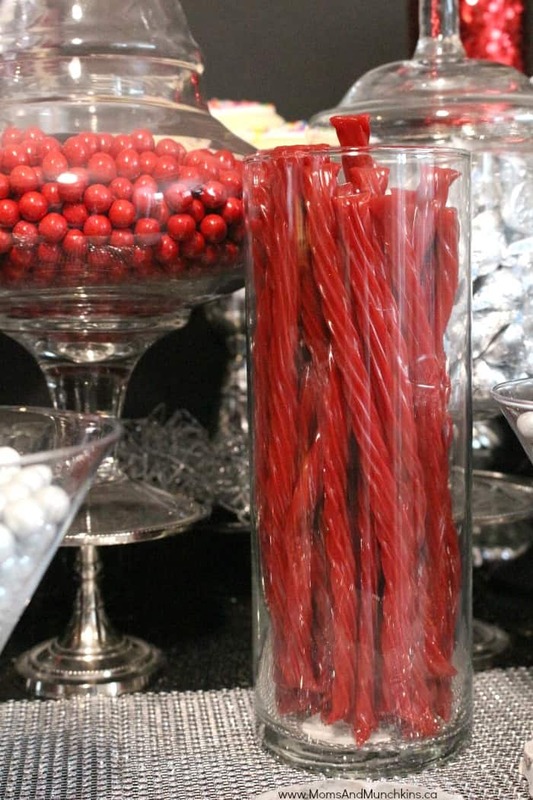 The grocery store candy aisle is a great place too and probably more affordable than a specialty candy store. 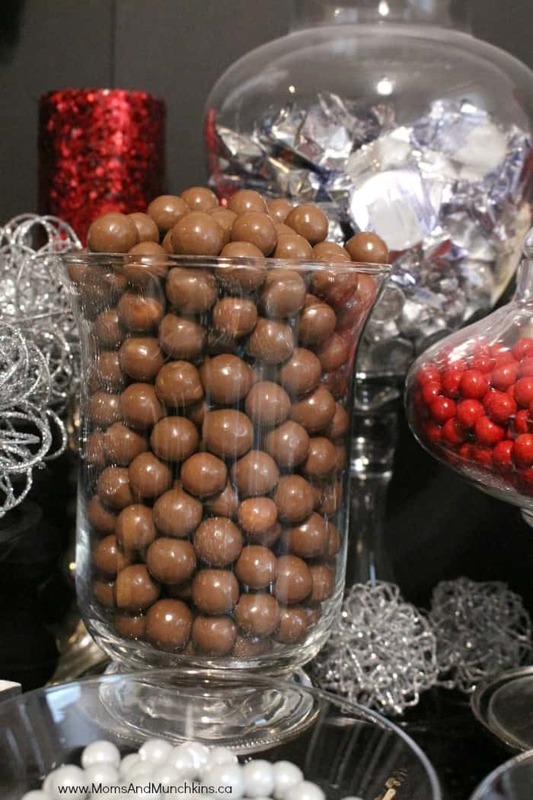 Don’t forget small favour bags, boxes or tins for guests to fill with candy to either take home or enjoy at the party. 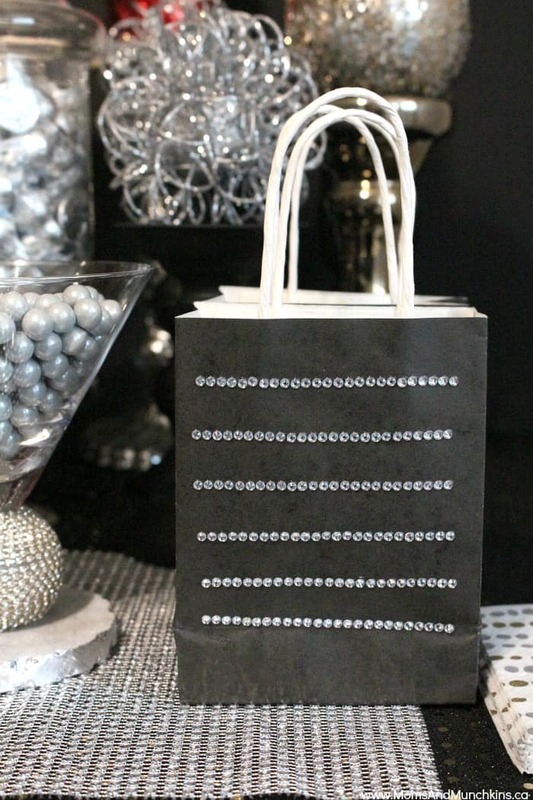 I dressed these black paper bags up with stickers from the dollar store. 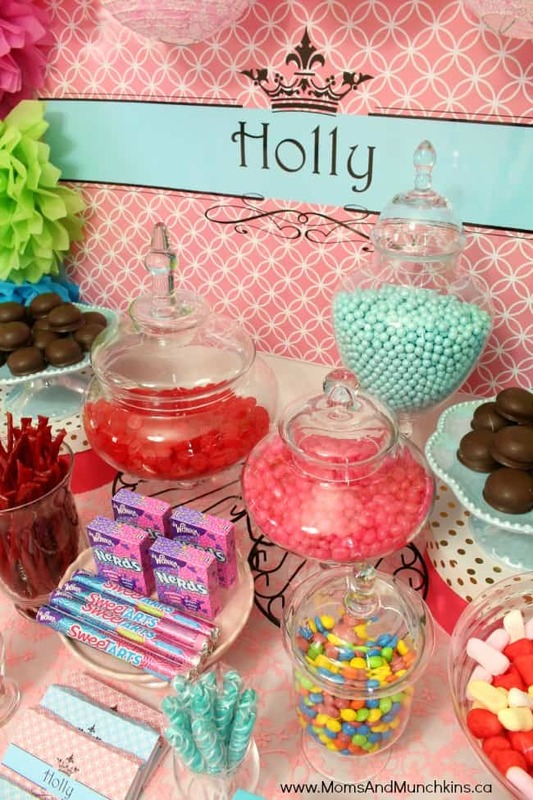 Don’t forget to read the full article in Pink Magazine for even more ideas on a themed candy bar, decorating tips and more. 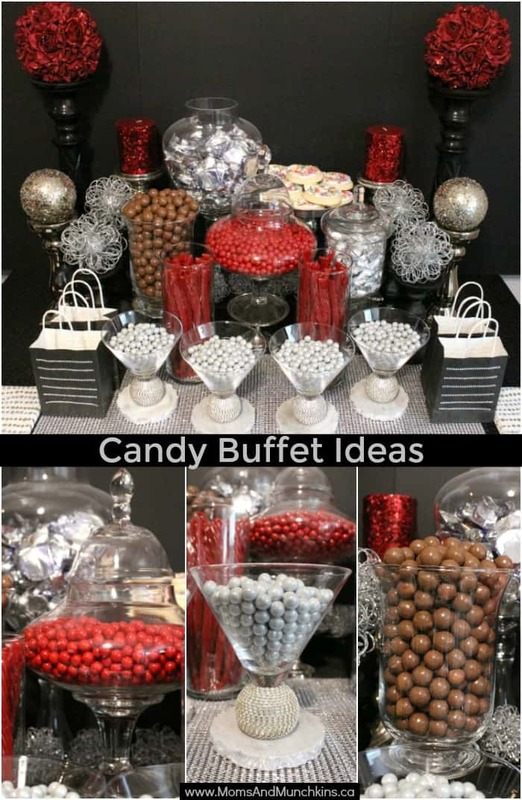 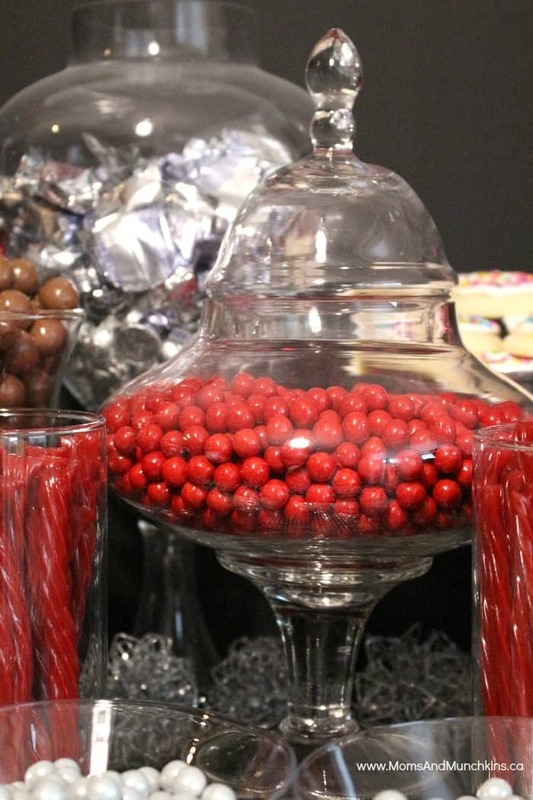 We also have another post here on Moms & Munchkins about planning the Ultimate Candy Buffet with fun ideas for personalizing your candy bar. 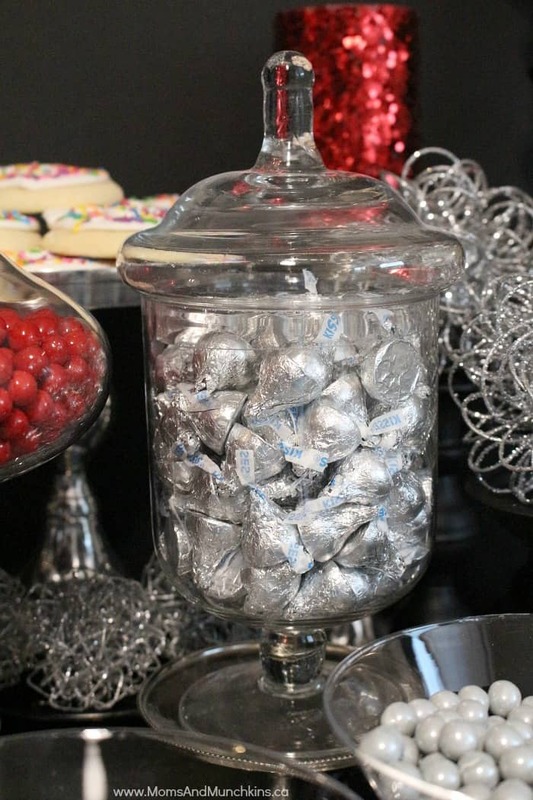 We’re always adding more ideas for parties, recipes and more! 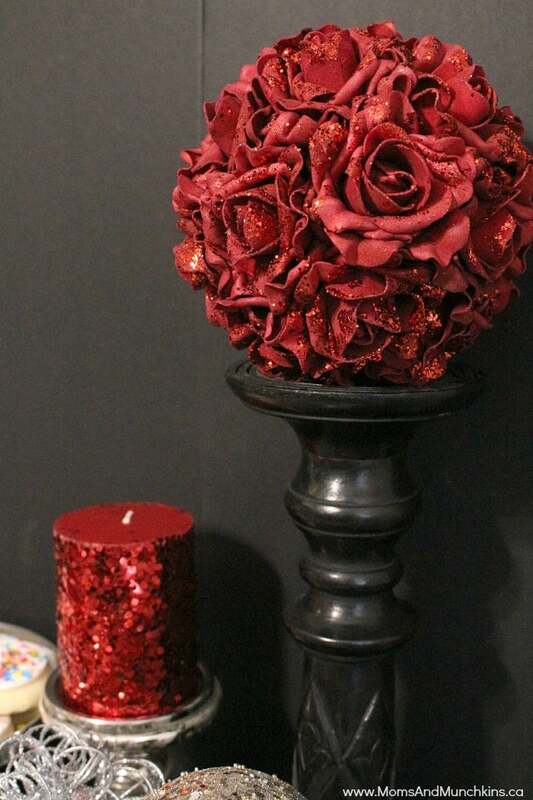 Stay updated on the latest ideas by following us Facebook, Twitter, Pinterest and Instagram.